JPY was supported due to the BoJ decision to leave the rate unchanged and at the same time USD was getting weak due to Trump’s decision regarding the immigrants. 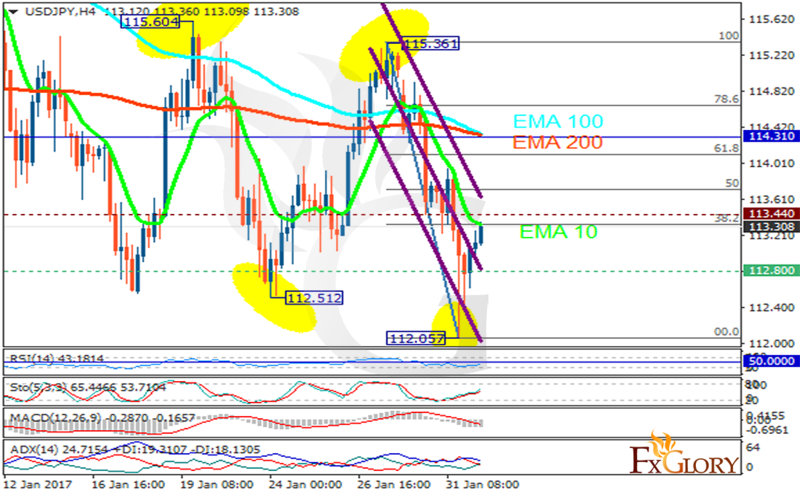 The support rests at 112.800 with resistance at 113.440 which both lines are below the weekly pivot point at 114.310. The EMA of 10 is moving with bearish bias along the descendant channel and it is below the EMA of 200 and the EMA of 100. The RSI is rising towards the 50 level, the Stochastic is showing upward momentum and the MACD indicator is in negative territory. The ADX is not showing any clear signals. The pair is rising towards the 61.8 level of Fibonacci retracement targeting 115 area.